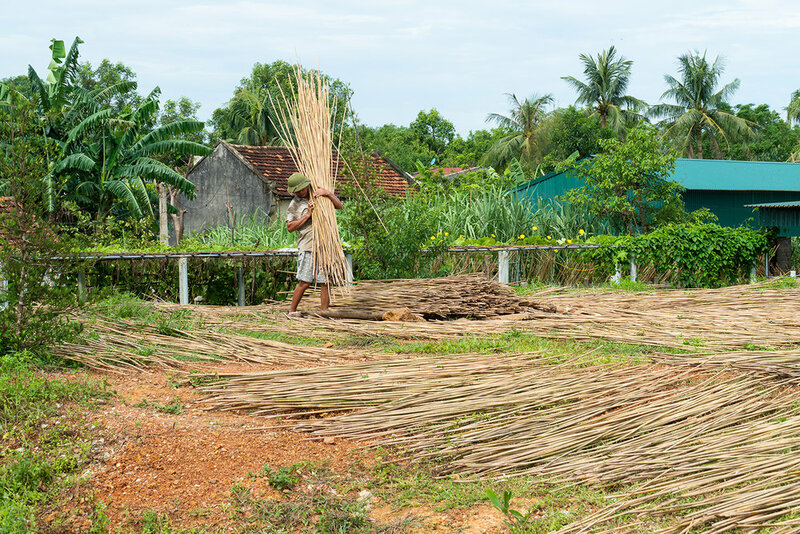 When meeting bamboo farmers on our quest to find the very best supplier, we had a few specific goals in mind. Firstly, we wanted to find the very best bamboo, 100% organic and completely free from chemicals throughout the entire production process. 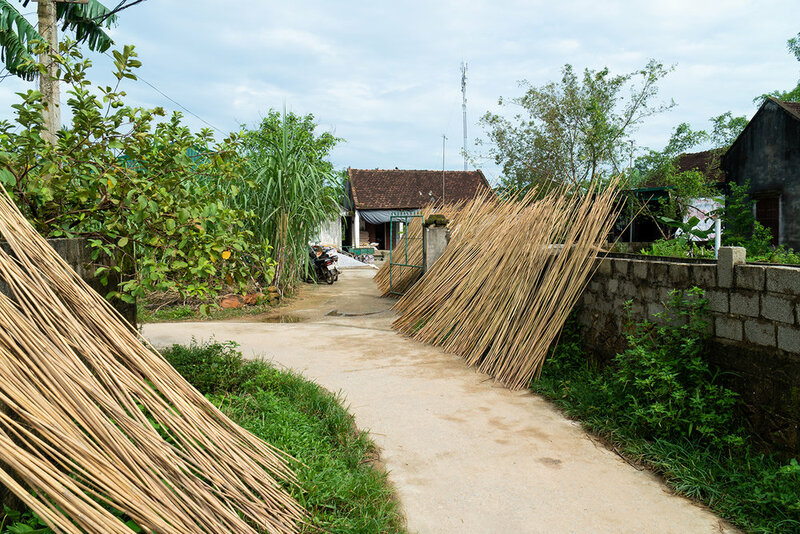 The bamboo we use for Jungle Straws grows naturally and without the need for harmful fertilisers or pesticides, therefore growing it doesn’t contribute to unwelcome chemicals entering ground-water. It was also important to us that we found passionate and dedicated people that we could work alongside in order to create a special relationship that reflects our vision. We highly value teamwork and feel a strong sense of pride in what we do. We wanted this ethos to be the main driving force behind our everyday actions, from the supply chain upwards. 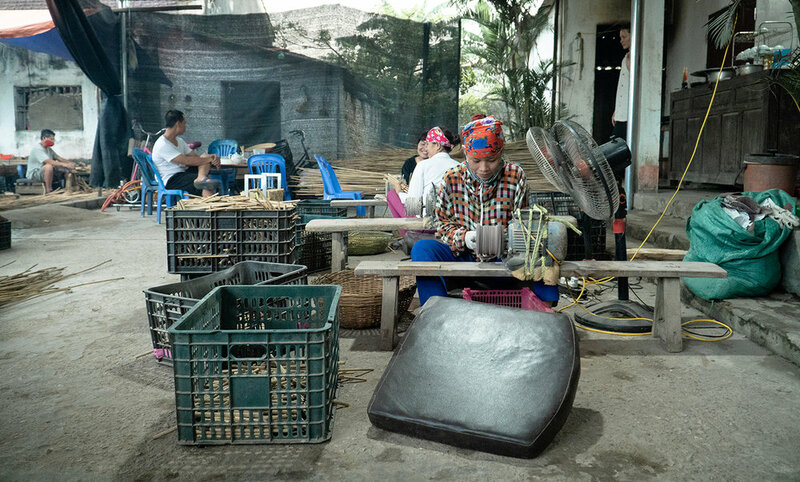 Vietnam has a tropical climate with high temperatures and humidity, which is highly advantageous for growing bamboo. 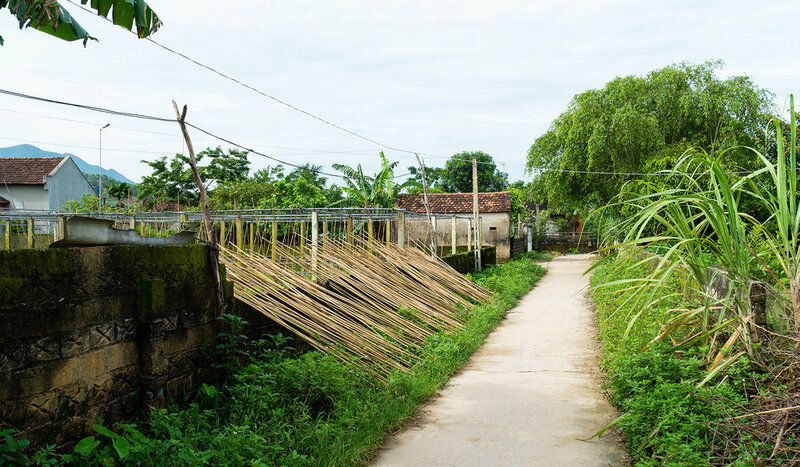 Our farm is located 150km south of Hanoi, near the picturesque town of Ninh Binh, deep in the dense thick jungle of Thanh Hoa province. It was here where our journey began, and it was here that lasting friendships were formed. We feel honoured to call our work colleagues our friends. 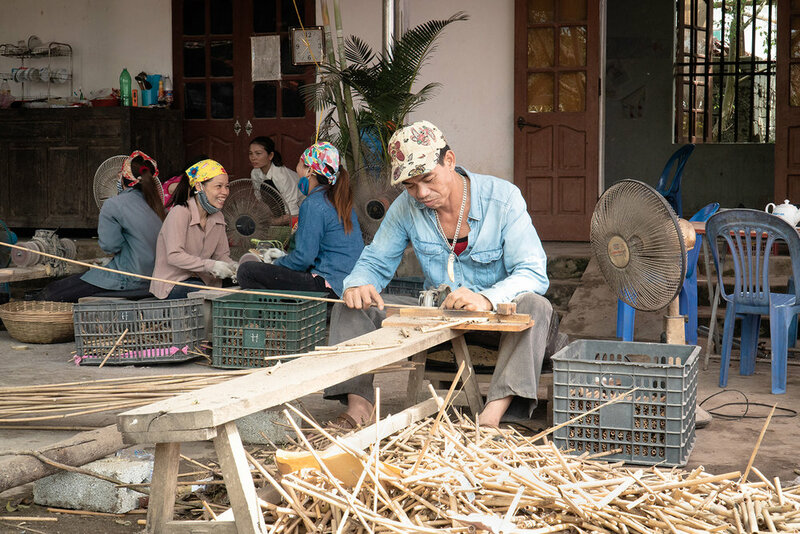 Not only does bamboo dominate Vietnam’s beautiful landscapes, but we also think that its qualities of strength and resilience represents the nature of the Vietnamese people. 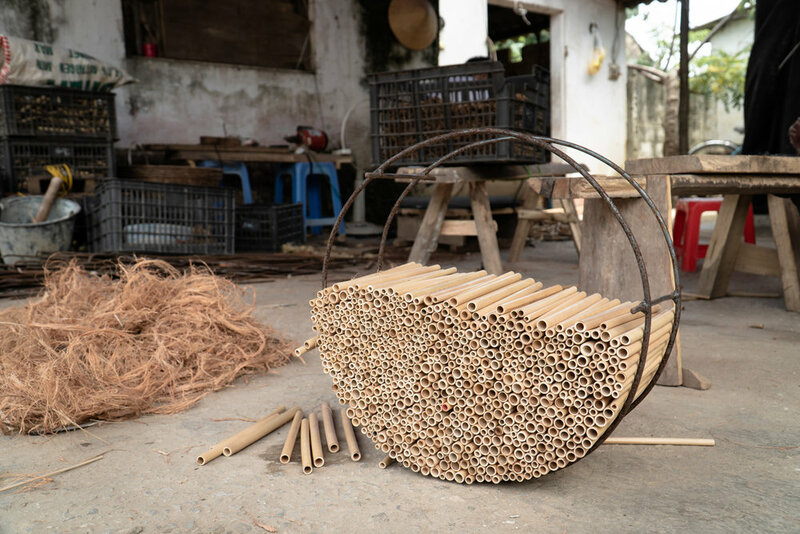 Each one of our Jungle Straws is made from a single piece of organic bamboo which is sourced from wild plantations deep in the countryside of the Vietnamese province of Thanh Hoa. Bamboo is actually a species of grass, but grows up to five times faster than most other species of trees, reaching maturity in only three years. It can be harvested after every two years for up to 40 years which makes it 100% eco-friendly and fully sustainable. 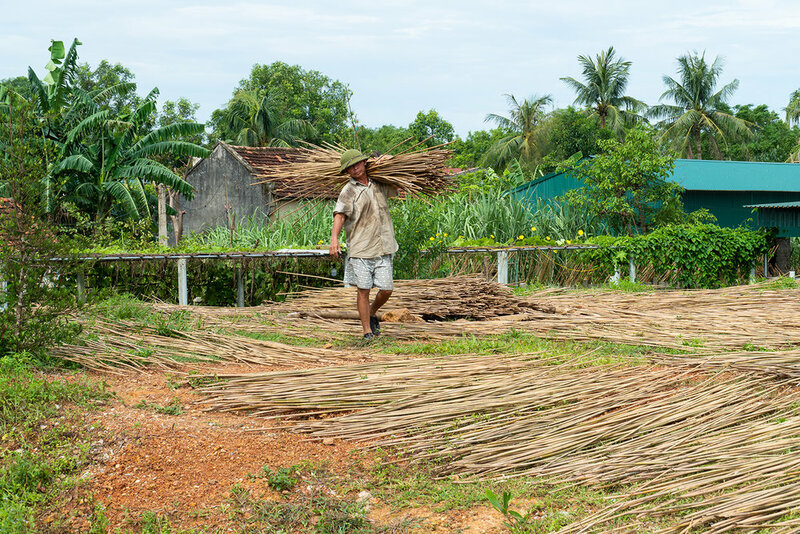 The bamboo is cut and left to firm up and dry naturally in the sun for a few days before being re-located to the farm where it is cut down to size and then crafted into smaller, smoother pieces. 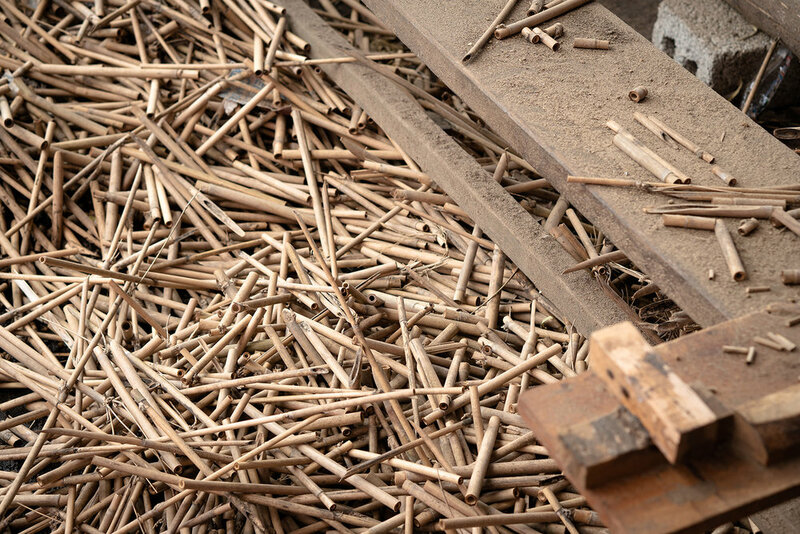 The bamboo is cut from it’s natural state into lengths of between 20-21cm. The straws are individually hand-crafted, so naturally some straws contain slight imperfections and variations in colour. We try to use every single part of each bamboo stalk which is why you will find that our eco friendly straws differ in thickness. Some are even slightly bent, but we believe this adds to their charm! After the stalk has been cut, it then gets sanded, filed and etched to give it a smooth and natural finish, perfect for slurping your favourite drinks from! 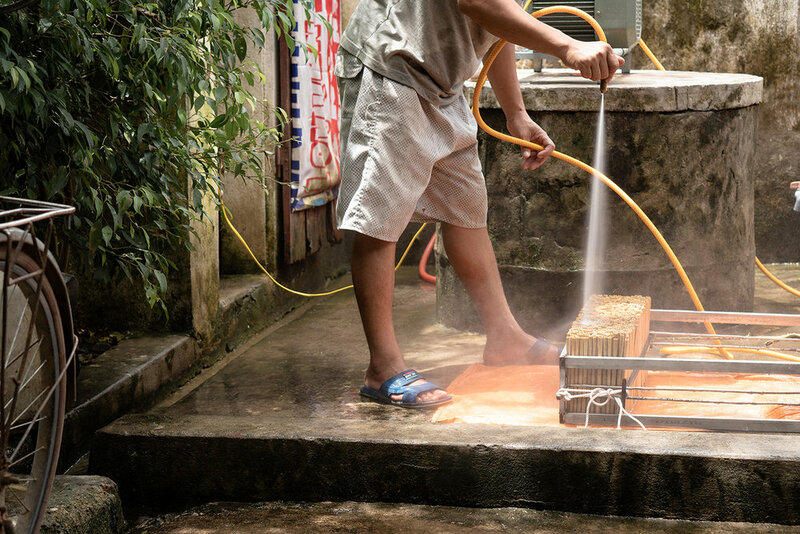 Finally, the smaller, smoother bamboo straws get taken away to be naturally cleaned by pressurised water. 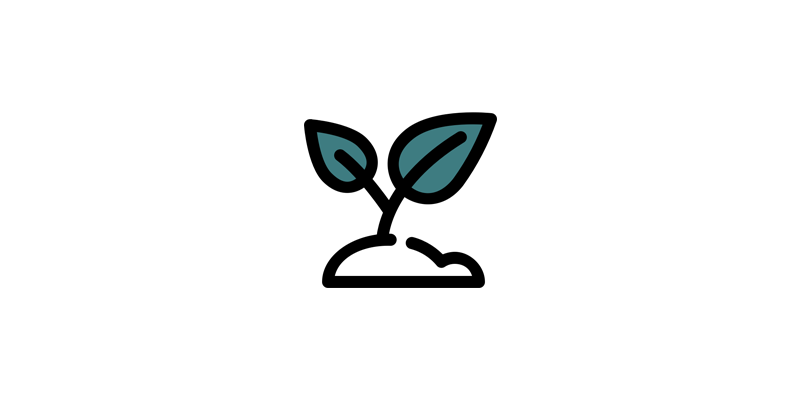 We use absolutely no chemicals or pesticides in any part of our production phase. Each straw is 100% organic and responsibly manufactured. 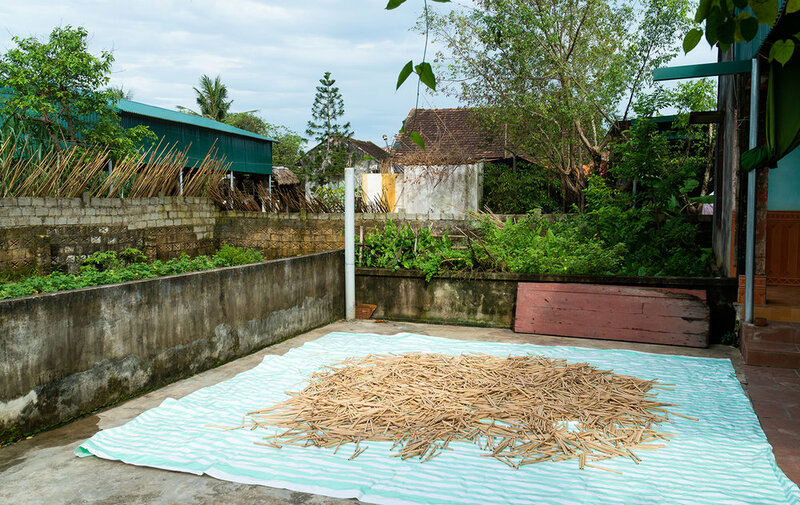 The straws are then left to dry on large hessian rugs in the baking hot Vietnamese sunshine for up to one week after being crafted. This ensures that the straws turn a beautiful golden yellow and acquire that sun-kissed natural look. Once dry, they are bagged and checked and sorted into piles in order to be packed into natural jute bags to be lovingly sold. 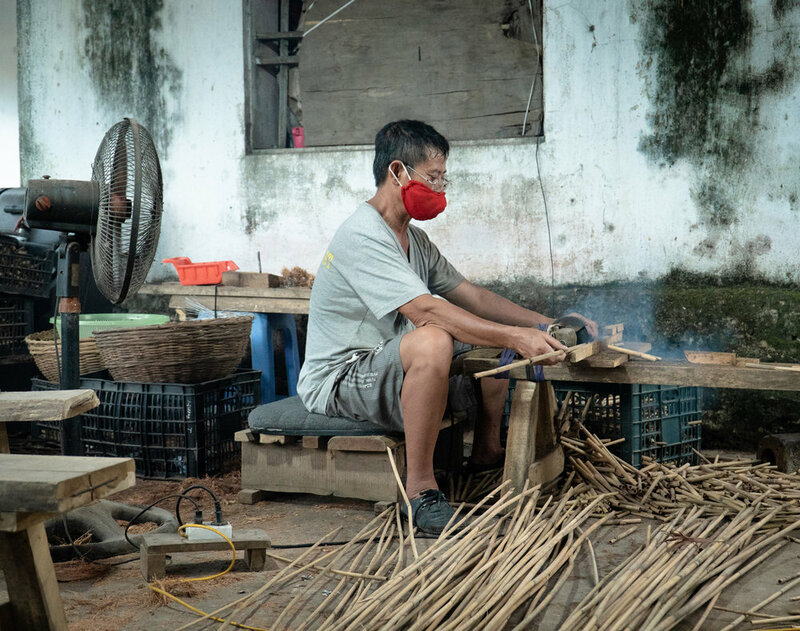 Why make bamboo straws in Vietnam? Join the plastic-free revolution & receive a FREE e-book! 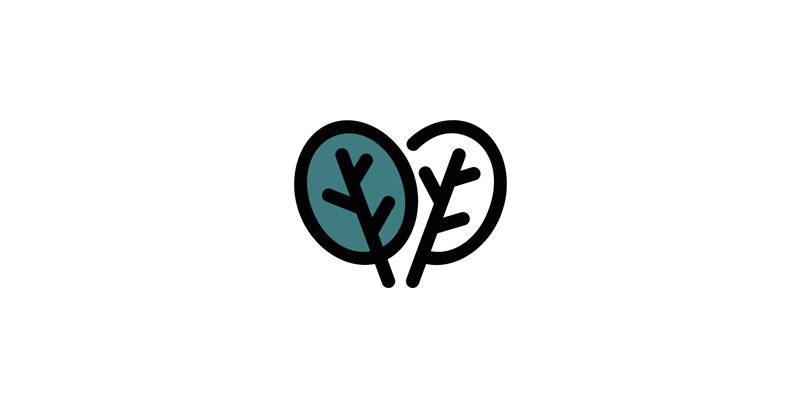 Sign up to our newsletter and receive a free zero waste e-book! You can also stay up to date with all the latest anti-plastic news and initiatives, plus special offers on our new sustainable products. By signing up to our mailing list, you can expect to receive the latest tips on sustainability, eco news, handy guides and content where we share all things plastic-free and zero-waste. Thank you for your interest in our products, and for your support.